Hard Reset: Exile continues the original story. Follow Major Fletcher into the Barrens - dangerous lands beyond the last human city of Bezoar, where our hero will meet new foes and make new friends. Get ready for more machine madness! 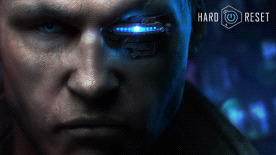 Hard Reset: Exile is Free to owners of Hard Reset.